Resilience is about the capacity of a forest ecosystem, a marine species, a Maine family, or an economy to absorb and rebound from outside shocks. In Maine’s tourism economy, resilience also requires a capacity to foresee and prepare for risks and shocks. Disturbances linked to global climate change — intensifying storms and coastal flooding, expanding wildfires, deaths from heat stress — have stimulated awareness that building resilience is an important goal. In the country of Norway and Portland, Oregon, for instance, sustainable prosperity has replaced sheer economic growth as a policy goal. Sustainability requires planning and investment to strengthen resilience. We must also turn the resilience lens on Maine’s economically vital and vulnerable tourism sector. According to Maine’s Office of Tourism, 36.7 million visitors spent more than $6 billion here in 2017. Tourism contributed over half a billion dollars in tax revenues and supported 107,000 full-time, seasonal, and part-time jobs. Maine tourism’ is particularly vulnerable to three shocks: changing climate, changing general economic conditions, and changing markets. Sooner or later, in small ways and large, climate change will impact nearly every aspect of Maine tourism. A few examples suggest the range and potential seriousness of climate impacts. Some signs are already visible: shorter winters with less reliable snowfall, the spread of Lyme disease, increased coastal flooding, and declining songbird populations. Emerging “medium term” risks include sea level rise and threatened shorefront properties; forest fires and infestation by pests like the emerald ash borer; habitat disruption for iconic moose and lobster; and a declining cold water sport fishery. Of course, some climate changes may have positive effects on Maine tourism, especially as negative shocks hit competing destinations. Our comparatively mild summers and a warming ocean may attract more “sun, sand and surf” visitors, as southern beach destinations face more heat waves, hurricanes, flooding, and even shark attacks. Milder autumns should extend Maine’s cruise ship season. And our winter sports economy could benefit — near term — from worsening snow conditions to the south. Broad economic fluctuations are also disruptive. Visitor numbers and spending are powerfully influenced by national business cycles. Thus, Maine tourism plunged with the 2008-09 recession and then required five years to regain pre-recession levels. Many Canadians who vacation on Maine’s coast and shop in Freeport and Bangor react to changes in the cost of US dollars. And, with ninety-percent of tourists driving to Maine, major gas price swings can also affect visitation. The third disrupter is evolving tourism markets. Most Maine visitors come from nearby states, so the northeast’s aging and slow growing population limits our growth potential. But the rapidly growing global middle class, especially Asian travelers, creates new, little-tapped, opportunities. Two examples suggest the resilience challenge in pursuing growing “market segments.” First, many baby boomers are “experiential tourists” with ample leisure time and discretionary income. They seek soft outdoor recreation opportunities, a Maine strength, but they also demand quality dining, lodging, shopping and cultural amenities. Second, many younger adventurers seek destinations offering outstanding expedition hiking, cross country skiing, and mountain biking – also a Maine strength. But they also demand cell phone and internet coverage, great meals, lively nightlife, and comfortable beds after their outdoor exertions. Nearby destinations, like the White Mountains and Adirondacks, but also global powerhouses, like Switzerland and New Zealand, are competing for these growth opportunities. These examples illustrate two key realities. First, disturbances operate on vastly different time scales. Changing snow conditions, economic recessions, global population dynamics, and sea level rise take place in time frames ranging from days to centuries. 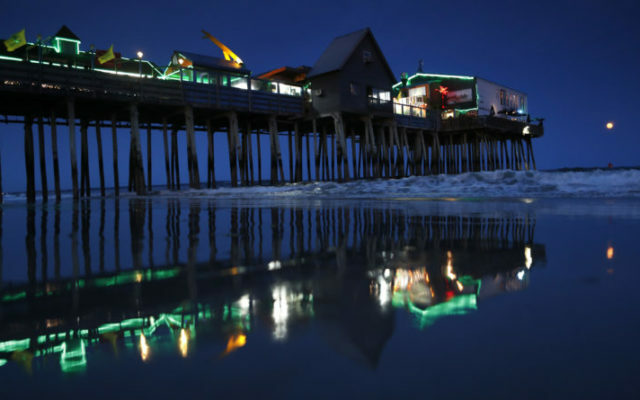 Strengthening Maine tourism’s resilience will thus require some nimble adaptation measures, while other shocks will allow for more farsighted planning. Second, future shocks involve varying degrees of uncertainty and risk. Climate change is causing sea level rise, ocean warming, and acidification, but the pace of change – and its tourism impacts – remains unclear. For example, we know that the Gulf of Maine is warming faster than most oceanic waters, and we recently learned that oceans globally are warming faster than previously predicted. What new revelations and adaptation challenges are in store? Uncertainties and risks are compounded by the way multiple shocks interact. How resilient would Maine’s winter sports economy be if poor snow cover combined with rising fuel prices and another recession? Maine tourism will confront several disruptions in coming years: some are potential, others inevitable, some are negative, others positive. A follow-up to this essay will highlight three elements of a strategy to strengthen “shock absorbers” for Maine tourism: innovative product development, investment in amenity-rich destinations, and cooperative branding targeting new markets. David Vail is Adams Catlin Professor of Economics emeritus at Bowdoin College. He serves on the Maine Woods Consortium Steering Committee and is a consultant to the Appalachian Mountain Club.